India has always been one of the foremost pioneers of the world in every field. Be it Ayurveda, astronomy, science, medical or education, India was consistent throughout the period and, unfailingly, has been the salient pillar behind all the historical leads. In India, education has always been given the first priority and is considered as the frame to mould the personality and character of an individual. Since the inception of Vedas, gurukuls and ashrams were the primary sources of learning where students were taught about different subjects and practical life as well. If you are looking forward to knowing about the educational history and desire to walk through the corridors of these ambitious universities of ancient India that never returned to life again, then you are at right spot. A UNESCO World Heritage Site and one of the oldest universities in the world, Nalanda University was the centre of learning to thousands of teachers and students from around the world. Established by Shakraditya in the 5th century, it prospered for over 700 years under Gupta Empire and later under Harsha Empire until the end of 12th century. With large rooms and lecture halls to the biggest library in the world, Nalanda had everything an ideal university with thousands of learners wish for. Students from China, Japan, Tibet, Indonesia and several other countries used to study in this university. The library of Nalanda had a vast collection of lakhs of scripts and texts on subjects, such as grammar, literature, astrology, astronomy, medicine and science. This library, known as Dharmagnja, comprised of three multi-storeyed buildings called Ratnasagara, Ratnodadhi and Ratnaranjaka. 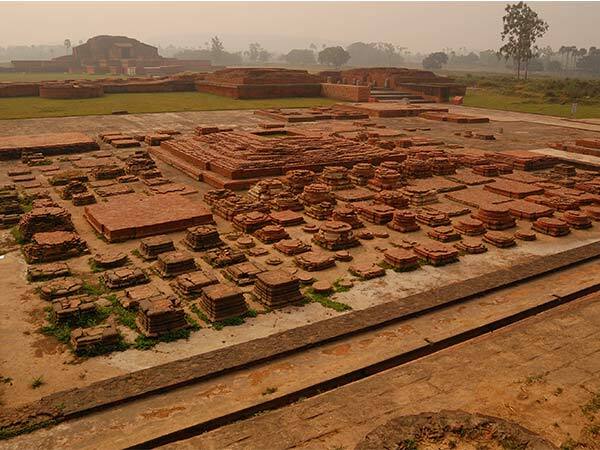 Nalanda University grew for over seven centuries until its decline by the attack under Bakhtiyar Khilji. Today, it is just a tourist destination for history lovers who still try to figure out and fathom its vastness. Often referred to as the oldest university in the world, Takshashila University is a UNESCO World Heritage Site today for its great historical and cultural significance. Home to over 10000 students, this giant university was the biggest centre of learning in ancient India. It was the hub of education and learning and hence, students from Greece, China, Japan, Arabia and many other countries used to come to Takshashila to learn different art forms. Here in Takshashila, students pursued their passion in various fields of science, astronomy, astrology, Ayurveda, philosophy, grammar, archery, politics, agriculture, etc. Several mentions of Takshashila are also found in the Buddhist Jataka Tales, writings of Chinese travellers and Puranas, the ancient texts of India. The decline of this futuristic learning centre is said to have happened after 800 years of its prosperity and success by an attack under invaders. Takshashila was certainly ahead of its time and consequently, gave birth to many ingenious and wise men, such as Chanakya, Chandragupta Maurya and Vishnu Sharma. A monumental Buddhist monastery, Somapura dates back to Pala dynasty and was built by Dharmapala in the 8th century. It was a quadrangular structure with a giant stupa in the centre and was spread over 27 acres of land. This peaceful monastery was the principal centre of learning for Dharmic traditions, such as Buddhism, Jainism and Hinduism. With 177 cells, several temples, stupas and numerous buildings embellished with beautiful patterns and religious carvings, Somapura was the largest amongst all Mahaviharas at the time. After 400 years of its historical existence, it started declining by the end of 12th century. The records at Nalanda says that Somapura was destroyed by a fire during the invasion of foreigners. Today, it is just a tourist spot and one can merely watch its ruins and scrutinise its eternal history walking through the lanes. As a result of the decline in the quality of the scholarship at Nalanda, Vikramshila came into the picture. Also built by Dharmapala of Pala dynasty, this beautiful monastery had over 100 teachers and over 1000 thousand students giving a tough face to Nalanda. Vikramashila was one of the largest universities during Pala dynasty, others being Somapura, Nalanda and Odantapuri. Currently located in Bhagalpur district of Bihar, it had become the centre of learning for many countries and students from all over the world were taught here by proficient and skilful masters. Apart from philosophy, grammar, metaphysics and logic, tantrism was the most significant subject here. Vikramashila was also the victim of an attack by Bakhtiyar Khilji. It was completely destroyed by the end of 12th century on account of several invasions. Today, this place has in store only the ruins and the dreadful past of destruction. And if you are looking forward to knowing its vigorous past, then closely follow its journey. Another major learning centre of ancient India, Pushpagiri was established in the 3rd century and prospered until the end of 12th century. Situated atop Lagundi Hills of Odisha, Pushpagiri University was also home to numerous teachers and their disciples who focused on their research in the field of Ayurveda and medicine. On account of recent discoveries, Emperor Ashoka is believed to build this learning centre. Several mentions of Pushpagiri can also be found in the writings of Chinese traveller Xuanzang. Today, only ruins of this centre can be seen as Pushpagiri, along with other major learning centres and Buddhist monasteries. So, these are the major universities of ancient India that never returned to life again. Unfortunately, only their remains can be seen today. However, these remains have their own tale of despair and breakdown amid their irresistible and successful journey. Take a look at these and dive deep down into the history of wisdom.